Jessie and her army massacre the military, turning battalions of troops into soulless savages. A madman and his demon horde devour thousands of people in New York City. The war between the Watchers and the Fallen is here, and the world is on brink of destruction. In the West, Jessie and her army cross the desert, destroying everything in their path to find the Stone of Serr’rah and free Nalsuu from the Second Death. Together, they will rule the Earth as King and Queen and reshape the world in their dark vision. 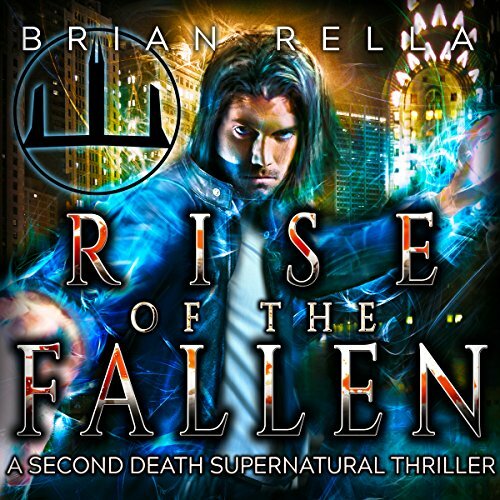 Rise of the Fallen is book three in Brian Rella’s action-packed horror and dark fantasy series, The Second Death. If you like horror and dark fantasy, listen to the sample or buy Rise of the Fallen now. Wow! If you thought things were good before, just wait for this one! Lots of action & fighting! Find out if Jess & Frank succeed! Love this dark fantasy, it's a great series! Writing is marvelous, and narration really makes it even more special. Book 3 continues the story of the Watchers and the Fallen. With in depth characters, fast pacing and tons of action this is a must read series for all supernatural fans. You really need to pay attention in this series to stay on top of the story. It skips around between different viewpoints so you get the full story from all angles. The narrator does a fantastic job bringing the story and characters to life. I look forward to more from this author. The battle for the Land of the Living is on! Our girl Jessie succeeds in retrieving the Stone of Serr’rah and releasing her soul mate, the King of the Fallen. Not only is Nalsuu freed, but so is every other ne’er-do-well in the Second Death. The war is on! and it’s a no-holds-barred fight to the death; or the Second Death depending what side you’re on. Jake has come into his own as the Chosen One and goes mano-a-mano with the Leach of the Eons. Frank, the other Watchers, and the Protectors have their hands full battling the army of the Fallen. Meanwhile, in New York City, another demonic madman is razing the city, turning citizens into an army of undead. At some point it looks as though all is lost and the King of the Fallen once again rules the Land of the Living. Is this how the war ends? Will humanity be consumed by darkness forever? Stay tuned for the exciting conclusion. This audiobook was given by the author, narrator, or publisher at no cost in exchange for an unbiased review via Audiobook Boom. This series just seems to gets better and better. I actually liked this one the best of all. The narrator is still a little dry, but it was barely noticeable this time around. If you enjoy urban fantasy, you should definitely check out this series.